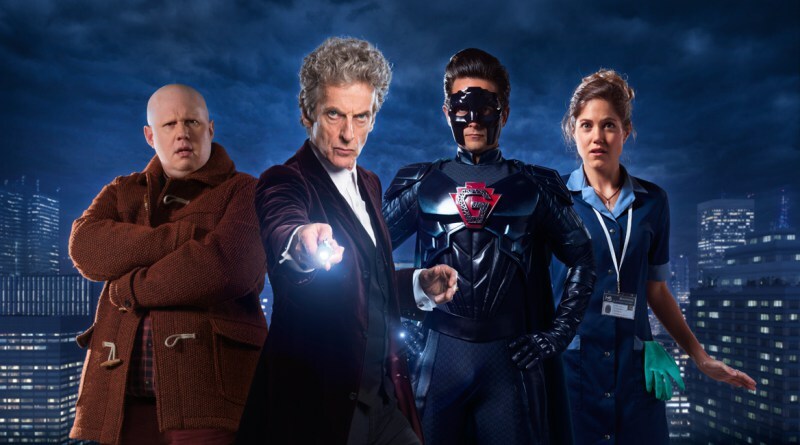 Cast: Peter Capaldi (The Doctor), Matt Lucas (Nardole), Justin Chatwin (Grant), Charity Wakefield (Lucy), Tomiwa Edun (Mr Brock), Aleksandar Jovanovic (Doctor Sim), Logan Huffman (Young Grant), Daniel Lorente (Teen Grant), Sandra Tees (Reporter), Tanroh Ishida (Operator), Vaughn Johseph (U.N.I.T. Soldier). Synopsis: The Doctor spends Christmas in New York, but this time he is not the only hero in town. A deadly alien menace is poised to attack the city, and the Time Lord will need all the help he can get to stop it. Fortunately, Manhattan has its own protector in the form of a mysterious masked superhero. Comment: Moffat riffs on the current saturation of comic book heroes in our multiplexes with middling results. The positives are Capaldi’s increasing comfort in the title role – his charisma and energy light up the screen – and the surprisingly effective Lucas as his companion. The alien invasion plot, however, is a little weak as is Chatwin as Grant/The Ghost. Some nice in-jokes for comic book fans help make this an entertaining, if slight episode. Blurb: For John Rebus, forty years may have passed, but the death of beautiful, promiscuous Maria Turquand still preys on his mind. Murdered in her hotel room on the night a famous rock star and his entourage were staying there, Maria’s killer has never been found. Meanwhile, the dark heart of Edinburgh remains up for grabs. A young pretender, Darryl Christie, may have staked his claim, but a vicious attack leaves him weakened and vulnerable, and an inquiry into a major money laundering scheme threatens his position. Has old-time crime boss Big Ger Cafferty really given up the ghost, or is he biding his time until Edinburgh is once more ripe for the picking? 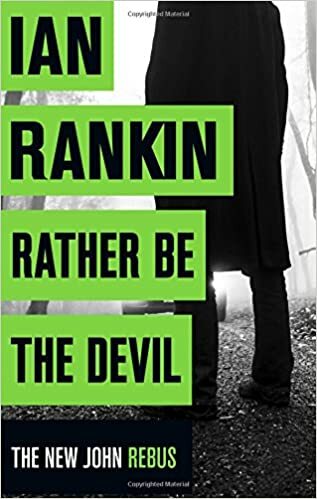 Rankin’s twenty-first Rebus novel is an entertaining read and one that shows Rankin is extremely comfortable with his characters. In this one the plot is fairly ordinary based around two cases that weave into one. Rebus is now long-retired, but investigating an old case and still sparring with gangster Big Ger Cafferty. The interplay between the main characters is what works best in this book. Rankin otherwise plays to more conventional crime fiction tropes and as such the book feels closer to his earlier work than his later, more complex novels. Siobhan Clarke and Malcolm Fox are on-board as is Cafferty’s challenger for the control of the Edinburgh crime scene – Darryl Christie. The book continues the gangland arc from Even Dogs in the Wild and sees it through to a satisfying conclusion, that sets up the series for the future. Rebus himself, is coming to terms with growing old and bronchial problems. He has, however, lost none of his acerbic wit and doggedness. Seeing him work with, but outside of, the police has given the series a new lease of life. Last year saw the long-awaited return to the printed page of John Shaft in the form of David F. Walker’s 6-part comic book prequel to the Ernest Tidyman novels, Shaft: A Complicated Man. The book was a superb re-introduction of the character in a story which added depth to Tidyman’s creation and was loaded with late 1960s New York atmosphere, enhanced by Bilquis Evely’s evocative art work. There was the promise of more to come from Dynamite Entertainment and in 2016 Dynamite delivered more. 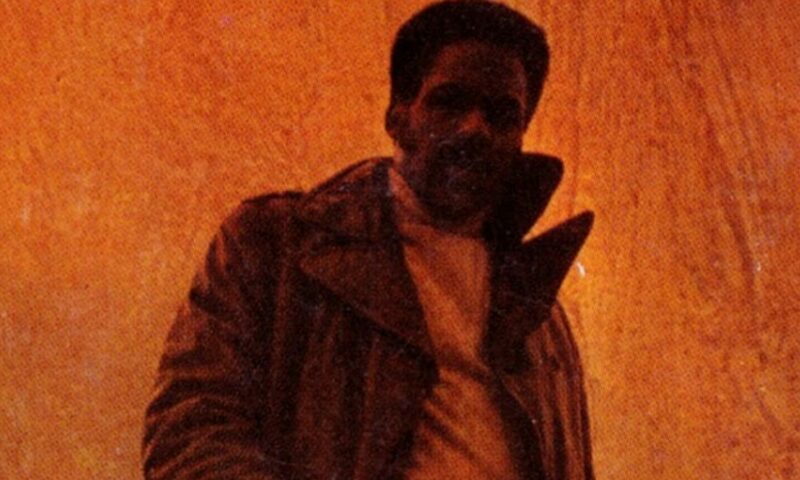 February also saw the beginning of a four-part run of Walker’s follow-up comic book, Shaft: Imitation of Life. This second run took a different approach both in story and visually, with Dietrich Smith providing more colourful and gritty, if less stylised, art work. Whereas in A Complicated Man, Shaft had been drawn true to Tidyman’s vision of his character, in Imitation of Life pressure from Dynamite made sure Shaft took on the image of his movie persona as portrayed by Richard Roundtree. The story was less successful, introducing elements of self-reference and satire that are intended as pointed criticisms of the approach supposedly to be taken in New Line’s planned reboot of the movie franchise that Walker had taken exception to. Still, there were enough strong moments to satisfy fans of the first comic book. The issues ran through to 25 May and a trade paperback version is set to be published in February 2017. In its press release in May 2014, Dynamite had promised to republish all seven of Tidyman’s original novels. 2016 saw them begin this process and Shaft (1970) was duly published on 20 July with cover art by Robert Hack. Whilst I had issues with the text format (indents too deep, for example), it was great to see a Tidyman original back in print. The books also contained a preview for Shaft Among the Jews (1972), which promised a swift follow-up. There was also an Italian publication of the novel. Sadly, apart from the trade paperback publication of Shaft: Imitation of Life, there is no further news on future Shaft releases via Dynamite at this point. The comic book and novel sales have not been spectacular and this may cause Dynamite to re-evaluate their strategy. It is to be hoped we will see more from Walker as he has a real feel for the character and I know he has more Shaft stories he wants to tell. In the meantime, I am optimistic Dynamite will at least deliver on their promise and complete the reprint of the originals. As for the proposed movie re-boot. There has been no further news on development since New Line’s response to fan (and in particular Walker’s) criticism of their proposed, more “comedic”, take on the character in August 2015 when producer John Davis stated, “It’s a reinvention of the story so that it’s both fresh and harkens back to what we love about that character. It’s drama, but it’s going to be drama with a lot of fun moments. A lot of lighter moments.” The movie seems to be stuck in development hell. Some may see this as a good thing and an indication that a re-think may be in order. 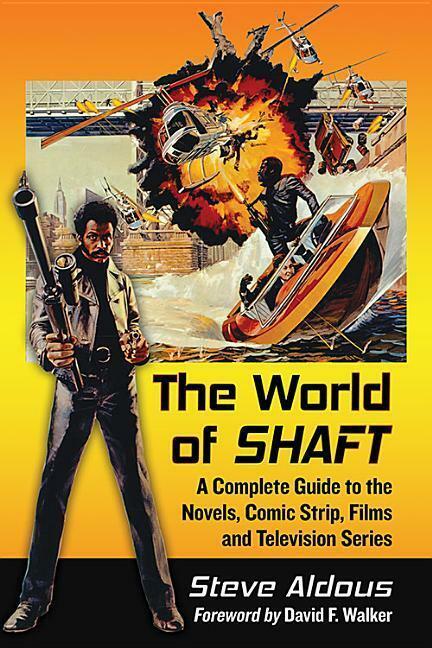 In my view, New Line would be best advised to adapt Walker’s Shaft: A Complicated Man as this is a superb re-introduction of the character that would make a great movie. 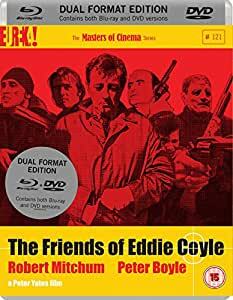 Based on Ken Bruen’s crime novels. Jack Taylor is an Irish ex-cop, on the wrong side of forty who has become a finder with a sharp tongue and a soft heart. He takes on the cases the police won’t touch, no matter how hopeless. He’s pig stubborn. He defends the lost and the broken. He’s good because he looks where no one else looks, talks to the people no one else talks to. Moreover, he knows every back street in his hometown, Galway, knows the seed and breed of everyone in it. But small towns have big memories, and like Jack they are quick to anger and slow to forgive. Iain Glen returns for a third series of Jack Taylor and his character has been mellowed. Gone too are Nora-Jane Noone as Kate Noonan (replaced here by Siobhan O’Kelly) and Killian Scott whose character is replaced by Jack Monaghan as Noonan’s nephew. 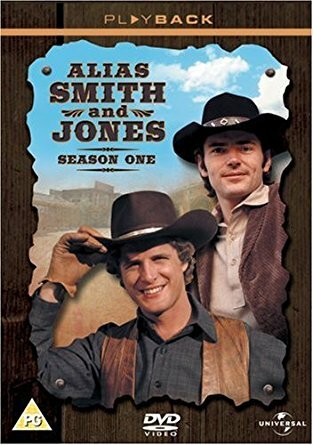 The episodes are adapted from Ken Bruen’s novels with varying degrees of success, but this still remains an entertaining series with Glen compelling in the lead.